This isn't the first time I've explored meal delivery services to support and encourage eating portion controlled and nutritionally balanced meals. Why would a trainer and instructor, with thorough knowledge of how to buy, prepare and plan healthy, delicious meals opt to have them delivered to me? For several reasons. Despite having enough recipe books to build a small community library, and also having the time to prepare meals, I often find that I fall into routines of eating the same meals, day after day after day. It's boring. It can also be easy to opt for making the same, boring meals I know when I don't have the incentive of preparing meals for anyone other than myself! Here is where Thr1ve has come to my rescue. I first saw the promotions for Thr1ve at the fitness centre I work at. Curious and dreading the inevitable dinner that would be exactly the same dinner I ate lastnight and the night before, I looked up the website. The founder of Thr1ve is the entrepreneurial fitness and fashion industry veteran, Josh Spark. This is a man who knows how to move, live and eat fit. Goal. I also looked through the menu and thought, I WANT to eat that, and that...and definitely that. Goal two. It could all be delivered to my door without fuss. Triple goals. Sold! 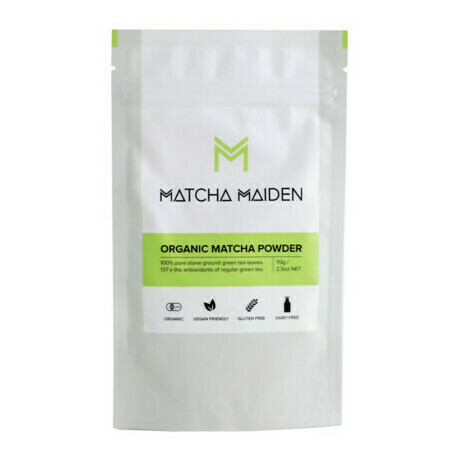 balanced macronutrients with wholefoods, plants and lean protein as the prime ingredients! My Thr1ve options are also intended to maintain my weight but for anyone who has a tendency to eat high-carb, multi-servings or excessive portions or desserts, you'll lose weight on these meals (if you're not eating extra meals between the planned meals!). The Thr1ve meals are paleo and ketogenic friendly. What's a ketogenic diet? High in protein and fats, low in carbohydrates and gluten free. As you all well know, I do not advocate for strict diets of any nature. While I see the health benefits of kickstarting a healthy approach to meal planning and nutritious eating with a low-sugar, minimally processed food approach, it is not ideal to maintain a high-protein, low carbohydrate diet in the long term. While some fitness and bodybuilding fanatics will swear black and blue the ketogenic diet is the ultimate way to eat, the high protein and fat content is violently unhealthy on the liver and kidneys and the extreme lack of complex carbohydrates (brown rice, wholewheat bread or pasta, fruits) can cause fatigue, lethargy, poor function of the nervous and hormonal system. Fortunately, Thr1ve meals are well balanced to include smart, wholefood carbohydrates with thorough nutritional density (brown rice, quinoa, root vegetables, potato) and even the classic Atkins' diet advocated eating sweet potato, moderate servings of fruit and complex carbs after the initial week or so of high protein meals. The meals I've opted for, and the meals generally, are moderate carbohydrates, lean and moderate protein and low-fat. As a healthy-fats advocate (they promote vitamin absorption, hormonal balance and appetite fulfilment!) I have been adding sweet potato and raw cashews and almonds to my meals but you must read your own appetite and decide what you want to add. Unless you're trying to shed weight, you'll want to be adding smart snacks between meals as they are small serves. Disclaimer: Of 14 meals (over a 7 day trial) FOUR meals went rancid by the fourth day and had to be thrown out. The "fresh greens" in two more also went bitter, flaccid and were inedible. I let Thr1Ve know and they made the excuse they were new to the meal delivery business and offered no remedy. Hopefully this issue is resolved but be warned. I occasionally still have an episode of binge eating when the perfect storm of situation, emotions, tiredness and opportunity come together. Thankfully it is rare but still devastating and emotionally and physically draining and stressful. I know I'm not alone though and that for many of us, the easiest response to anger or anxiety or sadness can be to seek comfort in food. I struggled with this in my early twenties and while it is rare now, the guilt and shame is even worse than the physical effects of pain and exhaustion. My trigger is highly processed "diet" foods and I need to remind myself these are designed to be "nothing" foods that don't satisfy or nourish the body. They are a marketing gimmick. Here's my advice if you have had a binge episode - either if it's the first time ever or something that happens regularly. Don't get angry at yourself. Be proactive. Analyse what triggered the binge - how did you feel? What happened today or recently that might explain how you feel? And then, what else can you do if you feel this way or these events happen again? Sometimes it's as simple as breaking the circuit or routine that might lead to a binge. Maybe you force yourself to take a walk. Maybe you open a game of Tetris on your phone. Maybe you start to write or draw. In the following 24 hours, drink plenty of water to stay hydrated and assist your poor digestive system to handle rebalancing. Do NOT make plans to diet or detox or restrict. This only leads to a feeling of deprivation and self-punishment and the likelihood of bingeing. If you are worried this is something you don't feel in control of, speak to a professional. There are phone lines for The Butterfly Foundation and National Eating Disorders Collaboration. Take fish oil supplements and B vitamins to assist in supporting the immune system and hormones. A binge episode puts the organs and bodily systems under a lot of stress. Don't do any excessive or exhausting exercise. Allow the body to recover. Walking, swimming, slow yoga are all good options. Remember that even elite athletes, celebrities and models have written or spoken about coping with binges. They are not uncommon and yet they can be devastating at the time. Don't encourage a cycle. Identify the triggers and change the situation and your responses. Maybe you quit your job. Maybe you leave a relationship. Maybe you need to re-evaluate the restrictive diet that isn't working out so well! Maybe you need to work on sleep habits or asking for help with too many obligations. Whatever else you do though, know that you are lucky enough to be able to make new and different choices every day. And you'll be ok.
Another afternoon, another 3.30pm "WHERE ARE THE TREATS" dilemma. Never fear. I bring treats with nutritional credit so you can feel satisfied AND highly self-righteous. And who doesn't need a bit of that during the mid-afternoon crawl to the finish line? 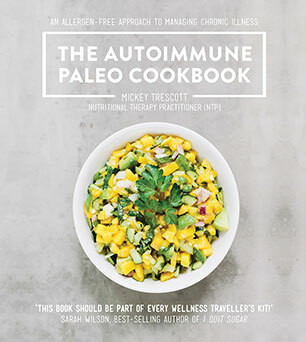 Coming to you from The Autoimmune Paleo Cookbook by Mickey Trescott (Murdoch Books) - I know, it sounds very Pete Evans, hipster Crossfit what-have-you, but once you get beyond the title, the recipes are fabulous. Everything from salad to post-workout snack to dinner for 10. Here's two of the fabulous finds - my favourites. I hope you love them and share them. I highly recommend popping the fig balls in a tupperware container and keeping in the fridge at work. They also make for some very happy post-school snack time and school fete fare. 1 Place the figs, 100 g of the coconut, coconut oil, cinnamon and salt in a food processor and pulse on and off until a thick paste forms (you may have to stop and scrape the sides of your food processor a couple of times). 2 Form into 2.5 cm balls, then roll them in the reserved 30 g of shredded coconut. 3 Refrigerate for at least 30 minutes to let the coconut oil set. Note: Feel free to play around with the dried fruit in this recipe-—dates, dried apples and apricots are all good substitutions for the figs. Storage: Keeps for a week or two stored in the refrigerator. Also freezes well. 1 Heat the cooking fat in a large frying pan on high heat. When the fat has melted and the pan is hot, sear the broccolini for a couple of minutes on each side. Turn the heat down to medium, add the garlic and let cook, covered, for about 10 minutes, or until the broccolini is tender. 2 Serve with coconut pesto drizzled over the top. Storage: Keeps well in the refrigerator. 1 Place all ingredients into a blender and blend on high for 15 seconds, stopping to scrape the sides if needed. If you want a smoother pesto, continue to blend until desired consistency is reached. Variation: Use apple cider or coconut vinegars and add sea salt to taste, as those vinegars are not as salty as the plum. Storage: Keeps for a couple of days, sealed, in the refrigerator. Too often in fitness and in food, there is a message from media, friends, family, personal trainers, supermarkets and pretty much everyone, that you need to follow a specific plan. Usually, a specific plan that reaps plenty of money and devotion to a brand or individual. Drink our shakes! Purchase our appliances! Follow our instagram! And so forth. What if you really considered what foods you like, what makes you feel good, what enables you to feel energetic enough to do what you have to do and what do you have the time and the enthusiasm to prepare? I do have some paleo cookbooks and some raw food and vegan ones. I am not paleo, raw foodist or vegan. I think they have some fabulous recipes and I absolutely respect their ethos. I just know that I find I need animal based protein to feel truly satiated and energised. 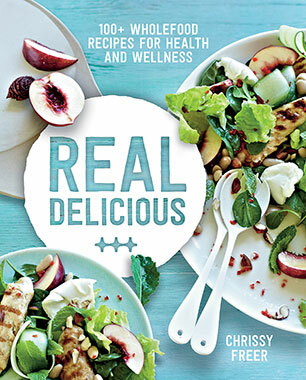 I want to share some of the awesome books that are giving me recipe and happy, healthy food love at the moment. They are beautiful to look at and the recipes are not complex. They are not pushing a regimen on you - there's no self righteous eat THIS and NOT THAT! 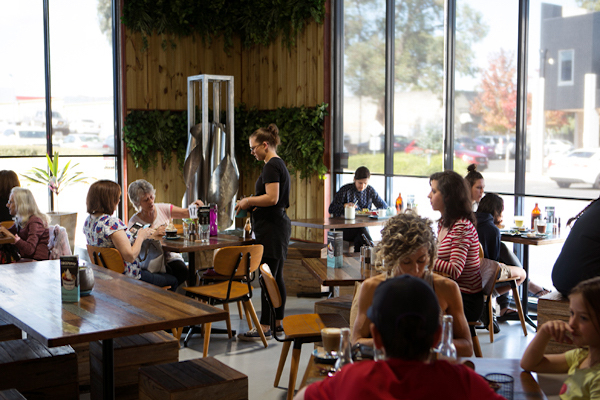 There's just a genuine celebration of flavour, fresh food and great combinations. Divided up between salads, main meals, sweet options and side dishes. Here's the lowdown on Real Delicious and Deliciously Ella. Filled with shredded vegetables, minced lean chicken and protein-packed eggs, this version of a Japanese pancake makes a nutritious and filling lunch or light dinner. In Japan it’s traditionally served with mayonnaise, but I prefer to skip this in favour of a little sweet soy sauce and some salad leaves. Whisk together the flour, eggs and 80 ml (21/2 fl oz/1/3 cup) cold water until smooth. Season with sea salt and freshly ground black pepper. Heat 2 teaspoons of the oil in a large non-stick frying pan. Add the chicken and cook, breaking it up with a wooden spoon, for 5 minutes or until browned. Add the mushrooms, ginger and garlic and cook, stirring, for 3 minutes or until golden. Leave to cool completely. Stir the chicken mixture, cabbage and carrot into the egg batter. Heat half the remaining oil in a large non-stick frying pan over medium–high heat. Ladle 1/2 cup of batter per pancake into the pan and spread out to 1 cm (1/2 inch) thick. Cook for 3 minutes each side or until golden. Transfer to a plate and keep warm while you cook the rest, adding a little more oil when necessary. Serve the pancakes drizzled with a little sweet soy sauce and scattered with the sesame seeds, spring onions and kale leaves. These fish cakes are made with mashed sweet potato instead of regular potato, and they’re coated in wholegrain oats instead of breadcrumbs. I love using sweet potato because it doesn’t need any butter or salt to taste great. It has a lower GI than regular potato and it’s packed with the powerful antioxidant beta-carotene, which has been linked to a reduced risk of heart disease. Steam the sweet potato in a steamer over simmering water for 12 minutes or until tender. Drain, mash roughly with a fork and cool. Steam the fish in a steamer over simmering water for 6–8 minutes or until just cooked through. Set aside to cool, then flake with a fork. Combine the sweet potato, fish, spring onion, herbs, lemon zest and chilli in a large bowl. Season with sea salt and freshly ground black pepper. Form the mixture into eight 2 cm (3/4 inch) thick patties. Place the oats on a large plate. Press each fish cake into the oats to coat both sides. Cover and refrigerate for 30 minutes to firm. Combine all the ingredients for the dill dressing. Heat the oil in a large frying pan over medium–high heat and cook the fish cakes for 2–3 minutes each side or until golden brown, adding a little extra oil if necessary. Serve with spinach leaves and dill dressing. Young children love these fish cakes, but you might need to leave out the chilli. Deliciously Ella Every Day (Hachette) is exactly what it promises: simple recipes from wholefoods that are totally delicious. Some of you have followed Ella's blog and she has a massive social media following. You don't need to be familiar or a fan to find this recipe book totally reliable and enjoyable though. In fact, I am blissfully new to Ella and her wholefood approach. I love it though and want to share some of my fave recipes with you. Enjoy! Such a delicious dish, I think it may end up being a favourite recipe for lots of you... it’s certainly very popular in my house! It’s inspired by a recipe that a friend sent to me; I fell in love with it and adapted it over time to create this version. The sauce is definitely my favourite part, as it’s so incredibly rich with the most amazing array of flavours. Peel the courgettes, then use a vegetable peeler to peel the flesh into strips around the core. I normally discard the seedy centres, as they’re hard to peel. Do the same with the carrots. Meanwhile, make the sauce. Simply place everything into a blender or food processer with 9 tablespoons of water and whizz until smooth. Once the noodles have cooked, drain them and let them cool for a few minutes. Place the noodles, carrots, courgettes, pepper, sesame seeds and cashews in a large bowl and pour over the dressing. Mix everything together, then sprinkle the mint on top. Place the chia seeds in a bowl with 280ml of water. Leave for 10–15 minutes, until the chia has formed a gel. Place the cauliflower in a food processor and blend it until a flour-like substance forms; this should take about a minute (you may need to do this in 2 batches). Place in a nut milk bag (page 53) and knead out excess water: it may take a few minutes but it’s a really important step, so please don’t skip it! Add the cauliflower to a mixing bowl with the chia and apple purée and stir until blended. Mix in the flour, lemon juice, tamari, salt and dried herbs. Slowly pour in 150ml of ice-cold water, using your hands to mix it to a sticky dough. Divide the dough into 2 pieces. Line 2 baking trays with baking parchment and spread each piece of dough out over it, to form a pizza base. Bake the crusts for 20–30 minutes. Once they are firm and slightly crispy, add the tomato purée and your toppings (except any basil or rocket), then cook for another 5–10 minutes. Sprinkle with salt and pepper, the leaves, if using, and a drizzle of olive oil, then slice and serve! I know it sounds strange to tell you to take the water out of the cauliflower and then add more water to the mix, but – trust me – it’s vital for the recipe to work, as it means you get exactly the right amount of liquid needed for the crust to bake properly. These recipes are from Deliciously Ella Every Day by Ella Woodward, published by Hachette Australia RRP $29.99. I don't prescribe diets or subscribe to any particular mode of eating so please don't think this is going to be a "This is how to eat" post! It's just an introduction to the ideas around traditional Ayurvedic approach to the body and food and also to Traditional Chinese Medicine (TCM) ideas on meridiens in the body and how certain areas and organs have emotional and spiritual significance. In both traditions, there is a belief in food as both nourishment and medicine, with the capacity to heal physically and also to address cravings, restrictions and anxieties. Teri Mosey wrote a fabulous introduction to the idea of Chakra Nutrition in Fitness Journal last year. This is what awakened my interest in the idea. I had already seen the popularity of ayurvedic consultations in Bali and read a little. I can't claim to be an expert at all! But if it gets you thinking and curious...I'd love to know if you visit a practitioner or even study or practice Ayurveda yourself! Wood, Fire, Earth, Metal and Water. A universal energy enters the human body through the crown of the head and becomes "prana" or "qi". Along the spinal column, spinning vortexes receive and manifest this energy. Each vortex is a chakra with a defined role and relationship to the body. While Wesern nutrition is very focused on the macronutrients and calories, the chakra nutrition approach is much more holistic and respects that food is more than a physical fuel. The colours, tastes and source of food have a physiological consequence and also an emotional and energetic one. We can judge by our cravings or feelings what we are lacking, what needs attention, and how we are affected by the seasons, our emotional state and our physical world. Right now, it's the red chakra - or The Root Chakra - for me that is my primary focus. The root chakra is about balancing, grounding, needing a strong foundation. When it is blocked, the immune system suffers, there is overeating, rigid and anxious thinking, fearfulness and rigidity in routine. According to Teri Mosey, foods that nourish and support the root chakra are rich in protein - primarily bone, blood and immune supportive nutrients. Root vegetables and red-coloured foods such as tomatoes, apples, beets and radishes are also ideal. By no means do I suggest you base your entire diet and choices on your chakras. But this is a way to think about food as nourishment for the soul as well as the body. Perhaps it is a way for you to be more mindful of what you desire to eat and how you feel or function as a result. How are these relevant and interlinked? Think about what you eat and drink daily and how much of that is dictated by what you think you should be eating, should be drinking...the pills or herbs or blended green mulch you should guzzle according to magazines, your Chinese Medicine practitioner, your naturopath! There's a whole website I could devote to desire and women's food and choices around their bodies, but thankfully, someone much more expert has dedicated a book to it and it is new to my bookshelf. It's called Women, Food and Desire by Alexandra Jamieson. Admittedly, I'm yet to really delve in and read it thoroughly, but I fully intend to! The book encourages us to "Embrace your cravings, make peace with food, reclaim your body' - a message that I need and that many women do. It certainly doesn't mean go and eat a block of family sized chocolate and feel empowered. It means look at why you so want to eat chocolate, whether you can stop at 2 squares of it, and why you might feel bad about wanting it, let alone eating it. Awareness of your body makes you stronger, more attuned to it. More peaceful in your own skin. You can follow author Alexandra Jamieson on Twitter. The book is available through Hachette Australia. Anita Bean is a well-known and much respected nutritionist from the UK. Her latest book out is Sports Supplements 2nd edition: Which Supplements Really Work. I have a sometimes-I-do...sometimes-I-don't approach to vitamin and mineral tablets, but I know what works for me and I know where my diet falls short of giving me what I need, or how my body responds to particular stimulants, and I choose when and how much is necessary when it comes to taking tablets or capsules. Her website is a thorough introduction to her work. The book is available at Bloomsbury Australia. DHEA. What the effects are, what the side effects are, and what the studies show in terms of effectiveness. My drug of choice is caffeine and Anita informs: "Caffeine is a stimulant...It works by increasing levels of endorphins (hormone-like substances) in the brain. These endorphins affect mood state, reduce the perception of fatigue and pain, and create a sense of well-being. Thus caffeine helps increase alertness, concentration and performance; and reduces fatigue. It can also help increase muscle fibre recruitment..."
Studies have proven that taken 30 minutes to 3 hours prior to performance, caffeine can improve sprint times, increase endurance ability and reduce feelings of tiredness and fatigue.